Albuquerque, NM- On April 23, nationally coordinated protests will be held at over 200 Planned Parenthood centers throughout the United States, including the center at 701 San Mateo Blvd. NE in Albuquerque, which is being sponsored by Protest ABQ. These national protests are being organized by the #ProtestPP coalition, formed in response to the undercover videos released last year showing Planned Parenthood officials discussing the harvesting and selling of body parts from aborted children. 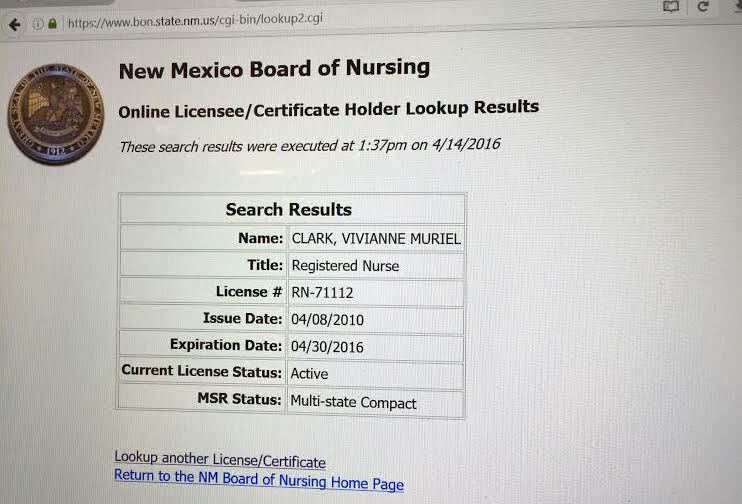 Just last week, Protest ABQ filed a formal complaint with the NM Nursing Board against Planned Parenthood abortionist Vivianne Clark, who is a registered nurse. We believe that Clark is in violation of a portion of the NM Criminal Abortion statute that requires physicians to perform abortions. Please join us as we stand in solidarity with thousands of pro-lifers across the nation to let Planned Parenthood and our communities know that we will continue to expose their lies and seek accountability for them and their atrocities. #ProtestPP is a coalition of state and national pro-life groups, headed by three national pro-life activist organizations: Citizens for a Pro-Life Society, Created Equal, and the Pro-Life Action League. In the wake of the coalition’s two national days of protest last year, more than 20 Planned Parenthood facilities closed and nine states voted to strip the organization of state funding. Location- 701 San Mateo Blvd NE. Please use street parking but don’t block driveways. Albuquerque, NM- Reuters reported today that even though the number of abortion clinics is dwindling, young medical doctors who want to kill babies by abortion is on the rise due to training programs like Medical Students for Choice and the Ryan Residency Training Program. The University of New Mexico School of Medicine (UNM) is listed as a Medical Students for Choice Chapter, and as we previously reported, UNM has been listed as a Ryan Residency Training site since 2011. Both programs contribute to the radical abortion agenda that is deeply entrenched at this public university. Training medical residents to kill and take the most innocent of human life, is the epitome of the betrayal of true medicine. 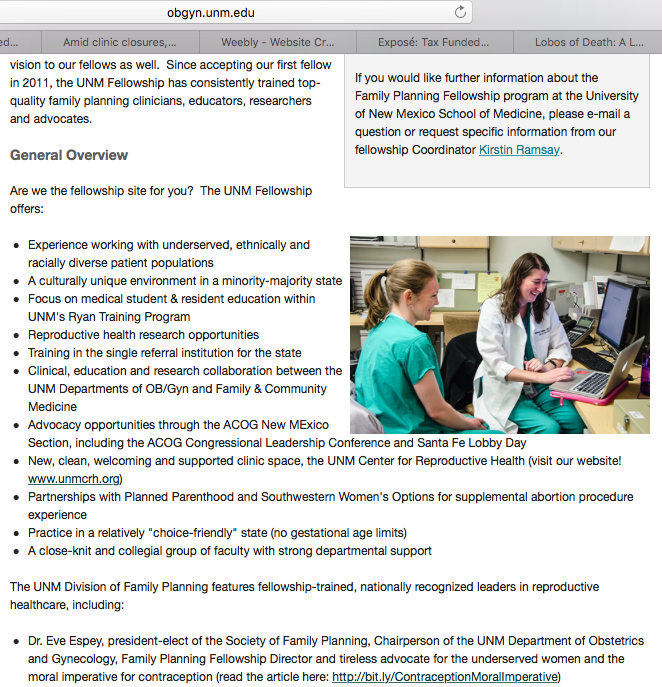 In 2014, we published a second exposé regarding UNM’s abortion training involvement, “UNM is currently one of 68 universities that participate in the Kenneth J. Ryan Residency Program in Abortion and Family Planning. 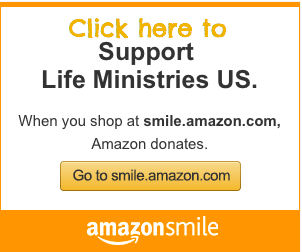 The Ryan Program, founded in 1999, is a national initiative whose mission is to embed abortion training into residency programs throughout the United States and Canada. 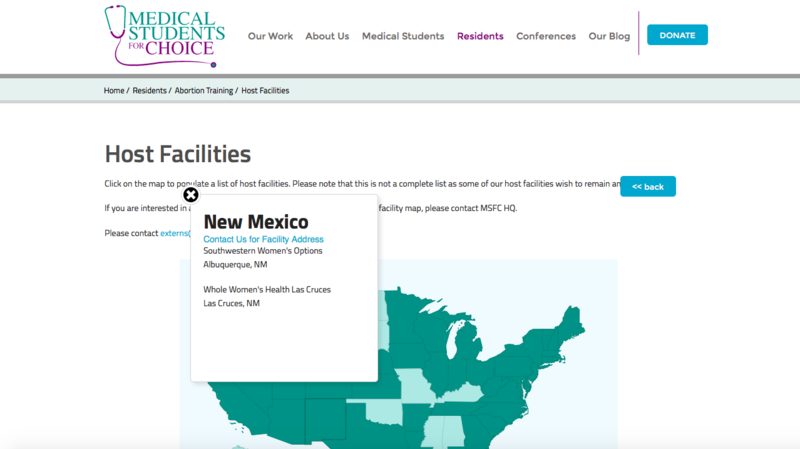 It is clear that UNM is not required to run their own freestanding abortion clinic. “Both of the groups that are producing this new wave of abortionists, Medical Students for Choice and the Ryan Residency Program are alive and thriving at the University of New Mexico, which is the heart of the abortion industry here in New Mexico and of course New Mexico remains the late term abortion capital of the country. 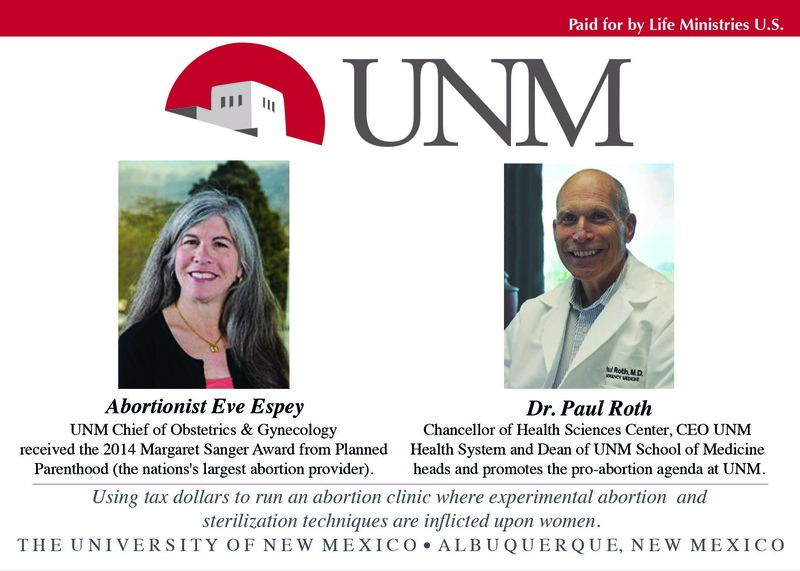 Dr Paul Roth is not only the heart of the UNM abortion business, but surely is spreading abortion throughout New Mexico and the country. Dr. Paul Roth needs to be condemned by Governor Susana Martinez, the UNM Regents, the GOP Republicans, and the Catholic Democrats and their leadership. *Reminder ACGME accreditation does not mandate UNM to have a free standing abortion facility that does 1st and 2nd trimester abortions up to 22 weeks of pregnancy.